Hearing some amazing music, starting with Aretha. Now that I've heard my two musical icons, Aretha Franklin and Ray Charles, and basked in their presence I can die happy. And both of these performances were part of the Toronto Jazz Festival. The first week-end has been amazing. Being blown away by a band I had dismissed (The Average White Band), being a little disappointed by lame performances by two other "idols," Steve Cropper and Mose Allison, being transported by the latin groove of the Spanish Harlem Orchestra - yes it is positively infectuous and discovering an amazing young sax player, Alison Young, who was playing with Tyler Yarema. But the highlight, of course, was my gig :-) I played the Distillery with Brent Titcomb on percussion and a fabulous young organist called Clayton Doley who just moved here from Australia. I first heard Clayton with Harry Manx and was totally knocked out by the sounds he was getting. At Metro (David Pecaut) Square, the new home of the jazz festival, someone approaches me to say how much they enjoyed my show at the Distillery. I had checked out the venue the day before when they had more "legit" jazz and it was not commanding anyone's attention but I have to say I had a total listening crowd. Two people actually interrupted the performance to buy a CD! I run into friend of a friend who loaded up some music in her iTunes library and when I took a look I found my first album, "Who Paid You to Give me the Blues" - he had created mp3s and scanned the cover. And he even remembered one of the tunes - "Girlfriend Blues." Ironically, a couple of nights before, I heard Victor Bateman doing that very tune at the Rex Hotel "Players' Party," the unofficial kick-off to the jazz Festival, which he traditionally hosts. Ironic because I'd never attempt to step into a jazz jam session. I remember last year I was invited to sit in with organist Vanessa Rodriquez, one of my faves, and she and the boys tried to "dumb it down" for the old blues guy by playing Chicken Shack and Georgia - neither of which is a straight-ahead 12-bar blues. I think this year I'll just stick to the gigs. Amazing to see jazz guitar great Reg Schwager playing my tune. Young Jordan John, opening for Aretha, was not about to leave that tent until she had sung her very last note. Jordan and dad, Prakash John, with Al Cross on drums and a special appearance by Toronto's gift to the B3 organ, Michael Fonfara, were very well received by the huge crowd that spilled out into a solid mass right across King Street - a crowd who had come for one reason, and one reason only, and that was spelled A-R-E-T-H-A. Richard Underhill and members of Tyler Yarema and his Rhythm, scheduled to play after Aretha on the outdoor stage, were equally absorbed by Aretha's killer orchestra (with many local players in the horn section and with TMA President Brian Barlow as one of three percussionists) and a voice that is not even slightly diminished from the days when she dominated the charts. Underhill left the tent at the appointed time only to make his way back into the tent when he realized that Aretha was nowhere near finished. She took her fans on a two-hour musical journey through some hits and faves, a very deep gospel experience complete with joyous handclapping and a lot of tunes that made you think she was quite aware that she was playing a "jazz" festival. A little jazz "Aretha-style." She must also have been aware that she was playing for a lot of life-long fans who might never have had a chance to see her live except in a free concert like this. Even after Tyler had packed it in, she was still talking to the fans who had followed her out to the dressing room trailers on Wellington St.
One devotee watching Aretha on the big screen on King street noted that, not once, but twice, he had bought some expensive tickets to see Aretha in Toronto only to have the show cancelled. Others remembered Aretha shows that might not have had the energy that we've come to expect, but if anyone else in that audience harbored any ancient disappointment, it was wiped out forever. This was a night to remember, maybe even for Aretha. • How hi-tech are we, really? No campfire tonight: If you were thinking of heading down to the Gladstone for the Blues Campfire, we've been bumped by a CD Release Party – tho I read that there will be some fiddle jamming after their set. The next blues campfire will be Tuesday July 19th. Come jam or listen. A nice review of New Folk Blues – Thanks to Gary Kendall for bringing this to my attention (I guess Google Alerts do sometimes miss stuff). This is from The Blues Report "The Best Source For Blues News and Info, On The Internet..." Who is this guy, how does he know all this stuff about me? He ends his review saying " 'New Folk Blues' is one of those rare treasures that just makes you feel good inside to listen to and for exceptionally well done Folk Blues, I highly recommend this Album." Click here to read the whole thang. How hi-tech are we, really? I'm here trying to stream the MuchMusic Video Awards just to see how it looks on TV since I was at the site a couple of hours ago. I was coming from a Luminato event and musing how Luminato was on a larger scale than the jazz festival. If only on the basis of their budget. Then I walk up the street and encounter the Much Music Video Awards conflabulation – all the streets around the block of the City-TV parking lot – where we used to fit a stage and an audience at jazz festival in the 90s (aka the duMaurier days). Now the MMVA set takes up the entire parking lot. (the streaming is very sketchy but I just saw o minute of Lady Gaga's encore it it looked quite spectacular – it would have been something to witness close up but I've just lost my "fire" for those thangs. Now screen has frozen on a slide saying "thank you for watching". I'll make that "thank you for 3 or 4 momentary connections where I saw a bit of the show." These music events always have a lot of parties, maybe not as much as the old days, but I know there are industry people that come to Toronto but don't bother with any of the official programme and spend the whole week-end in meetings and private parties. I was late for both of the parties I was invited to – one was a showcase and screening of the documentary Yonge Street Rock & Roll Stories. It was hosted by rock pioneer John Brower who figures prominently in the film. Got to meet the legendary Cathy Young and there were a few other legends in the house…like the drummer who played on Moondance – and he still dresses like a 70's rock star! I didn't get invited to any Luminato parties – and I'm sure there were some very posh ones – and even though they gave me a media pass, the only events I was invited to were the free ones. And even then there was no accommodation for us media mooches. Not even a designated seating area or a complimentary muffin – thougf programmer Derek Andrews did guide me to the backstage hospitality area for a coffee and a cookie. Ran into a couple of fellow media types who complained that they weren't able to pick up their pass because of the narrow window…you had to pick it up at the Chapters/Indigo store on Wednesday between 10:30 and 11:30am. With Luminato, if you snooze, you lose, but you've got to give them credit – the production was first class. Great sound – fabulous video on the big screens. I happened upon one NXNE party strictly by happenstance. I was waiting for a streetcar at Queen and Shaw and hear music coming from the courtyard at the Canadian Contemporary Art gallery. I walked over to the security people and flashed my NXNE media pass and they let me in to the "secret showcase" by the band Stars (if you haven't heard of Stars, you've probably heard of their parent group, Broken Social Scene) . There were about 200 hard-core Stars fans in attendance and dig this, all of them had been advised of this secret location after scanning a QR code on some Stars promotional material. Speaking of smartphones, one panelist at the NXNE Interactive conference described a scenario that is not that far in the future. You're walking down the street and you get a notification on your smartphone that the band you recently downloaded from iTunes is playing at a club just around the corner. Awesome! With 650 bands showcasing last week, all of them hoping to be heard by the right person, it occurred to me that it really is a crapshoot and if I'm any example, I made some great discoveries because they were playing right after or right before the band I went to see. Case in point is a duo from Brooklyn called Tiny Victories who were playing after Kaya Fraser who played a sweet and soulful set on Saturday. I was sitting with her dad, my oldest musical buddy Allan Fraser, and I used to joke that when I listened to recording of the two of us I sometimes could not tell who was playing what. And now watching his daughter's touch on the guitar I started thinking she has inherited that trait – though she plays way more chords than me ☺. Caught Jadea Kelly at Dakota and then got to hear Harlan Pepper with Tom Wilson (Jr.). A very creative young band – a standout in a sea of generic indie rock bands. Proud dad watching from the sidelines – and making sure I got a copy of their CD when he saw my media badge. His band, Blackie and the Rodeo Kings, is dropping a new CD next month with a stunning all-star lineup of guest artists. Invited to 2 private showcases and late for both. Punk so ubiquitous @nxne that I expect by next year there will be a genre called punk-pop. So much music – I'm getting jaded. Listening to one group who are undeniably brilliant but after a couple of songs it's time to move along…next! At a panel discussion on performance rights, the Socan representative shudders as rapper Saukrates tells the crowd not to worry about licensing samples – "don't call them, wait for them to call you." In the lounge area of the NXNE Interactive conference the complimentary laptop workstations sit empty while everyone checks their email on their smartphone or tablet. You know this is not your usual business conference when half the slides in the Powerpoint presentation include the f-word. In a tele-conference demonstrating a Social media "dashboard," Adobe Connect doesn't want to. One minute I'm standing at the back of a crowd of 8500 at the k.d. lang free outdoors concert (she was singing "Halleluiah" and you could hear a pin drop ) and then a few minutes later I'm in a tiny club where half the crowd is shouting at the top of their lungs. Sound guy does not spend much time at the board. Rushes over to put out fires. He's going to set one if he keeps using that blowtorch of a lighter instead of a Maglite. On a mission to find some bands at the NXNE festival who are using Ableton (the music software I am working with), but every time I ask someone they're looking me over like I just asked them to recommend a good hash dealer. Am I too old to be playing with Ableton?? Tribute to Ron Sexsmith at Massey Hall went well except for Measha Brueggergosman who bowed out because of allergies and a lot of anxiety because Ron had to catch a flight to London England at 11:30 so the concert started a little early and ended around 9:30, at which point he bounded off the stage and straight into a waiting car. I'm starting to warm up to Ron Sexsmith. I almost get run down by Greg Keelor in his Land Rover as I'm leaving the hall. Kept running into ole Doc MacLean playing on the street and in the subway during my musical marathon. 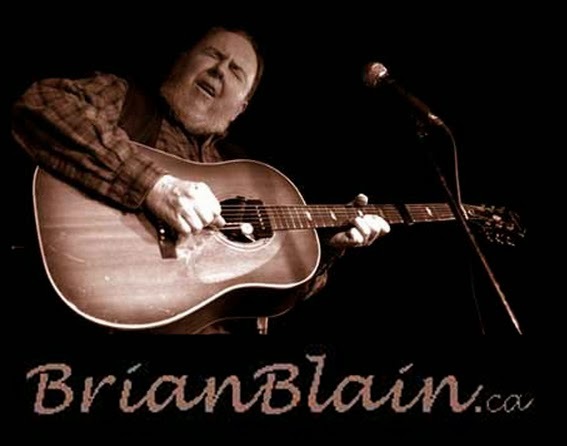 He'll be doing another cross-canada tour with Big Dave McLean in August. What a work ethic. He plays out in blazing sun for 4 or 5 hours – maybe more – then moves underground into a subway station to cool off and play for another couple of hours. He's got a heluva tan. Just in from my second round of Luminato. Tonight it was Yemen Blues, a huge ensemble from Israel with all the world music components like unusual drums and percssion, an oud-like instrument but surrounded by conventional western instruments, many played by young white women, probably not from Yemen. There was cello and violin on one side and flute, trumpet and trombone on the other. It was quite idylic, laying on my blanket staring up at a clear blue sky framed by skyscrapers. A small private plane did a couple of low passes and you felt like you could reach up and grab it like a mosquito. Opening was Chris McKhool's Sultans of string. This was their larger ensemble and it was tight. Nice hat, Chris. Much more sultan-like although now I'm thinking he could go all the way and get a turban. At Metro (now Pecaud) Square I wen't directly to the jerk chicken stand only to find them closed. They come highly recommended and I look forward to checking out their menu durring the jazz festival - but I hope they extend their hours! I was starved so Brook Blackburn guides me over to Joe Mama's - a venue I had yet to visit. What a great place - Alana Bridgewater was singing, Crory, Brooke's brother, was playing drums. Next time I would not order the calimari in a a rib-joint but I like the place, And they have a resident B-3 organ, a rare thang these days. I believe I'll try to get them to notice the formidable B3 maeatro, Clayton Doley, who's moving here next month from Australia. He's been performing with Harry Manx over the years - sometimes on American tours but mostly Europe and Australia - where he's a big star in his own right. He is to the organ what harry is to the slide guitar...that is he takes it to an entirely different place! The video switching for the big screens was a slick as a network TV show - looks like there were several remote control cameras mounted on the side and back of the stage. The production all around would be had to beat - the sound was crystal clear in a venue where I've heard it totally muffled at other less well funded events. Earlier today it was the beaches Jazz Festival media launch at the Balmy Beach Club - I love going to this free lunch even though I feel like there's no love lost from some of the oraganizers. Bill King, the artistic director is a buddy and as I stood by him at the "free lunch" lineup I mention that I missed the Pulled Pork - a favourite of mine - but BVill ponts out that it's a new caterer. So new, in fact, that they don't know who he is, and when He asks for a burger they're giving him a hard time like he shouldn't get any seconds because there are still people who haven't had their burger. Well, most people had left and it was pretty well over - I said, "Give the guy a burger - her runs the joint!" As always it will be a great lineup, though not the blues content we've come to expect on the main stage. Friday Night I bopped down to the square to get a feel for the venue since it will be the new home of the Toronto Jazz Festival. I was paying special attention to where they were getting their power and phone lines. At Nathan Philips we literally had to get a guy with a forklift to move one of those big concrete slabs so our Bell Telephone guy could set up the temporary configuration for the Jazz Festival. First I dropped in to Fay Olson's Friday "happy hour" art Quotes and lisrtened to the smooth sounds of the Canadian Jazz Quartet. Before Orangeville I attended a showcase of two of the hottest young guitarists on the blues scene, Garrett Mason and Keith Hallett. It was to promote Keith's new CD, but Garrett produced it - and I guess plays on it. He was sure an integral part of the band in this 40 minute showcase for music industry taste-makers...ha, like myself, eh? Some mighty fine guitar was played.